“As part of my recovery I vowed that I’d be kinder to myself. I like to think of myself as two years ‘alive’. 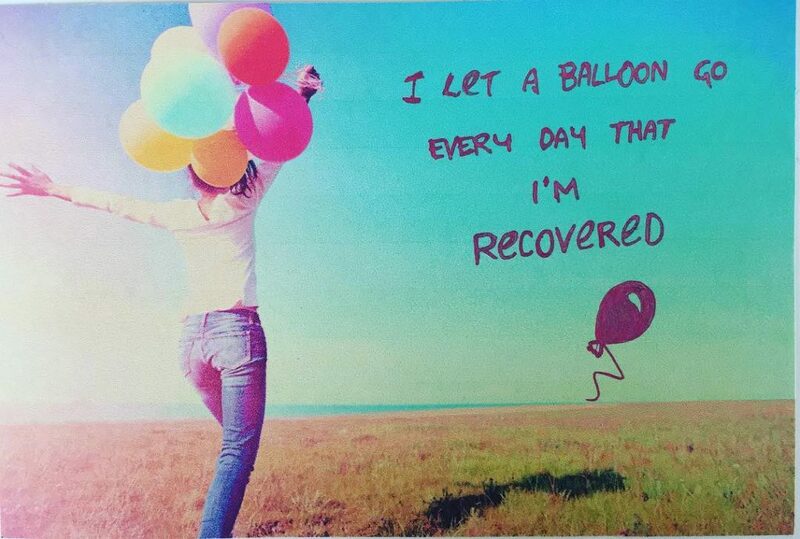 So, for every day that I’ve now been alive I’ve let off one balloon to signify my transition and commitment to my recovery. I recommend everyone do something daily to congratulate themselves on overcoming their struggle.